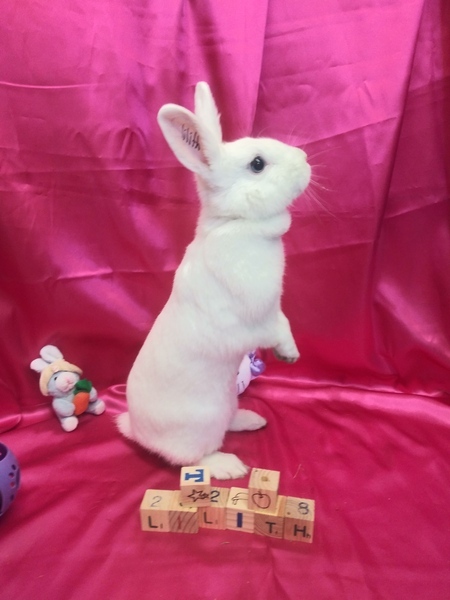 Lilith binkied as soon as she came into rabbit rescue. She is very active and curious. Stands up and nudges you. Rescued from Los Angeles Shelter.